2008. 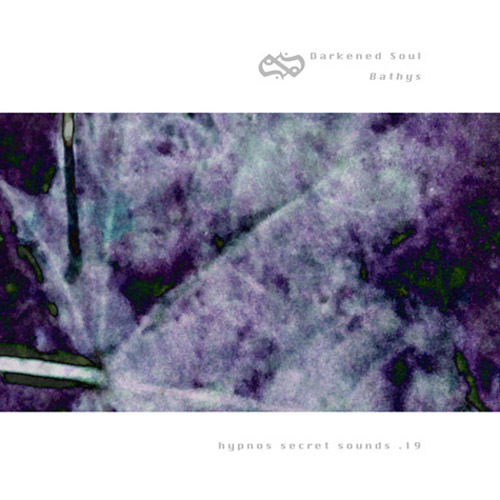 Bathys is the first appearance on Hypnos Secret Sounds by Darkened Soul. The word "bathys" in Greek translates as "deep," and the rest of the titles here continue the Greek language theme. It's the root of the word "bathyscaph" which is a submersible vessel for deep sea exploration. will use the dark as a canvas for vibrant renewal, redefining life against a backdrop of dire desperation. These tunes roil and pulsate with a power that is raw and primal. Periodic crashes of metal scraping against metal punctuate the harmonic flows, implying a distant conflict being enacted deep within the impenetrable murk. While these compositions display a distinct darkness, their intent is not to instill gloom or despair; they seek to establish a sober vantage from which one can view the world with objectivity. Brooding harmonic expanses spawn introspection on a grand scale."